In 2012, more than 29 million Americans had diabetes, and the total costs of diagnosed diabetes was $245 billion, according to the American Diabetes Association. The good news is that there may be a natural solution for type 2 diabetes within reach—and it’s made from what our parents always urged us to eat: broccoli. 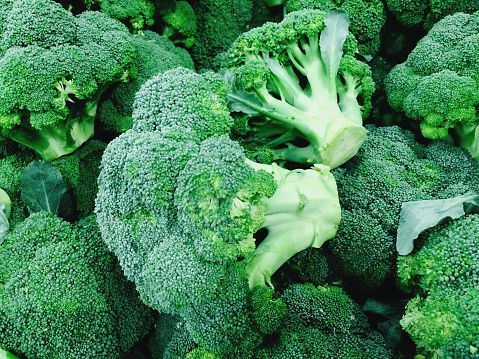 A compound called sulforaphane that is found in cruciferous vegetables, like broccoli, may be able to improve glucose control for diabetes, and it may even be as effective as a drug treatment, according to new research published in Science Translational Medicine. When taking a pill with a concentrated extract from broccoli, type 2 diabetics reduced their blood sugar levels by up to 10 percent, researchers found. In the study of 97 people with type 2 diabetes, those who took the placebo didn’t see a reduction in blood sugar levels. The extract worked best for overweight patients who had trouble managing their diabetes. “To many patients, it might be more attractive to take a broccoli shot or drink than having to take another pill,” said Anders Rosengren, senior author of the study from the University of Gothenburg in Sweden. The difference between eating broccoli at dinner and the pill that researchers used is that the extract in the pill has about 100 times more sulforaphane than found in natural broccoli. Don’t let that discourage you though --eating a balanced meal is still very important to maintaining healthy glucose levels and may contribute to preventing and managing diabetes. So how can you be proactive about type 2 diabetes? If you currently take medications for type 2 diabetes, there’s the possibility of reducing or stopping the need for them by losing weight, changing your diet and increasing your activity level, according to the University of California, San Francisco. Managing your stress levels can help manage your diabetes. Stress hormones can alter blood glucose levels directly. Try meditation, exercise, learning a new hobby or volunteer, the ADA suggests. Note also the importance of chromium and how it can regulate insulin. Before changing your diet or medications, be sure to consult your doctor. You may also consider a nutrition test to make sure your body is getting what it needs to help prevent or delay complications.